Your home’s gutters are among the more important components of your home’s exterior. 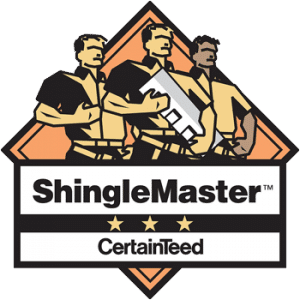 Not only do they prevent leaks, mold and water infiltration, but they are the best way to keep water from seeping into your home’s foundation and causing expensive structural damage, such as cracks. Your gutters keep water from entering your crawlspace and causing mold to seep into your walls, or ruining your insulation. If you have a basement, gutters will prevent water from rushing in and causing damage. Dominion was very responsive to my call. They came out on time and thoroughly explained my problem. They even gave me options. The job was done on the day I needed without any problems. 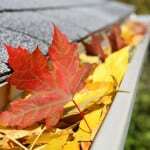 Most homeowners maintain their gutters seasonally. Removing any buildup of sticks, leaves, pine needles, and other debris, helps prevent a build-up which could result in a clog. Taking the time, especially after a grueling winter or stormy spring, to make sure your gutters haven’t come loose, or detached in any way, also keeps your exterior safe. But, sometimes maintenance isn’t enough. Due to age, or a harsh weather event, your gutters may be in need of repair, or replacement. That’s when you need to contact Dominion Roofing Co. Serving homeowners in Maryland for nearly three decades, Dominion has the experience, and training to provide you with professional repairs or installation. Knowing if your gutters can be repaired, or if you need new gutters, isn’t always obvious. Call on our professionals to help you make the call. Fill out our contact form or give us a call to schedule a no-obligation gutter installation or repair estimate! Typically, your gutters won’t need repaired unless they’ve sustained damage, or been left unattended for a long period of time. If your gutters have been blocked for awhile, water and debris overflow may have taken a toll. Damaged eaves troughs, and downspouts can come loose and be rendered useless as far as protection for your home. Age, and wear and tear can cause your gutters to leak. If you find your gutters leaking after a rain, have them inspected. Repairs for gutter leaks are not very involved, but you will need to hire a professional in order for the fix to be done correctly. Because your gutters are attached to your roofing materials, repairing them yourself isn’t a very good idea. 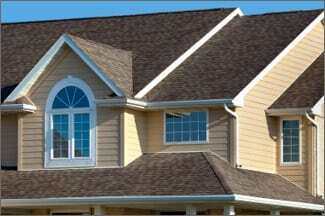 One slip, or mistake, and you could end up needing-and paying for- roofing repairs as well. Although your gutters may appear simple, they are anything but easy. Hiring a professional ensures the job is done right and could end up costing you less in the long run. Older, or damaged gutters and those that obviously aren’t doing their job, will likely need to be replaced. As your gutters prevent significant damage to your home, you’ll want the most thorough and best operating gutter system you can afford. Think of it as investing in protection. Dominion Roofing Co. crafts custom gutters to ensure your home is provided with the utmost in protection against the elements. With little opportunity to leak or become misshapen, custom gutters by Dominion Roofing Co. are installed professionally by experienced technicians who know how to do it right. Schedule a Gutter Installation Estimate Today! 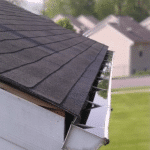 If your gutters aren’t doing all that they can to protect your home, call the experts at Dominion Roofing Co. Our trained gutter professionals can assess the damage and determine the extent of repairs needed. If your gutters are beyond repair and need replaced, our technicians can install your new gutters to your complete satisfaction. We’ll make sure your home is protected from water overflow and infiltration, from roof to foundation. Putting off your gutter repairs may put your home at risk. Contact Dominion Roofing Co. today by using our contact form or give us a call to schedule a no-obligation gutter installation estimate.